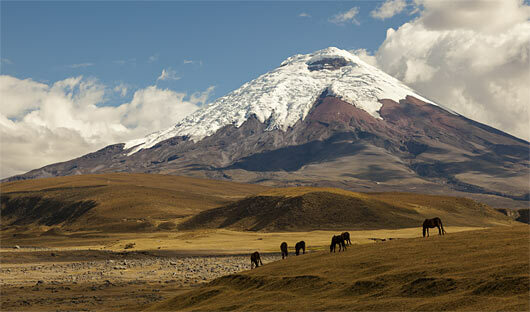 South America Travel Centre will tailor make a private tour of Ecuador just for you. Your holiday in Mexico will be at the pace you prefer with as many inclusions as you desire. Here is a sample of what your tour might look like. 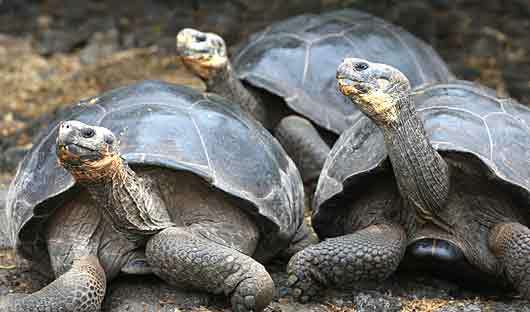 You may wish to add a cruise around the Galapagos Islands or a stay in the Amazon Rain forest to your itinerary. 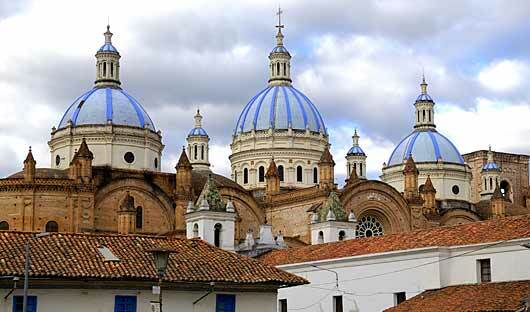 Casa Gangotena is described as ‘understated opulence given an Ecuadorean twist’. This 1926 palatial family home that had fallen into disrepair has been transformed into an intimate luxury hotel. The three-level mansion on the main Plaza San Francisco in the heart of the old city has been exquisitely restored, with additions that mix Art Nouveau with contemporary design. The generous, high-ceilinged rooms vary in size but all share tall, elegant windows and ornate furnishings while also offering modern technologies and quintessential comforts. The hotel features an exclusive rooftop terrace with views of the historic centre, a glassed-in patio and outdoor garden, and a fine dining restaurant where, aside from gourmet cuisine, guests can enjoy the hotel’s renowned ‘high tea’. Hotel Patio Andaluz is a declared Ecuadorian National Treasure. 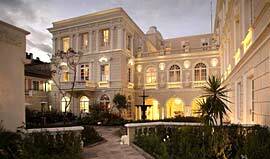 This small Spanish-colonial style hotel in the city’s historic heart dates back to the foundation of Quito in the late 16th century. A meticulous restoration and remodelling has successfully combined original aspects with modern amenities. The décor conjures a colonial ambiance with hardwood floors, vaulted ceilings, large arches, balconies, towering attics and long, wide corridors, built around two glass-roofed interior courtyards. 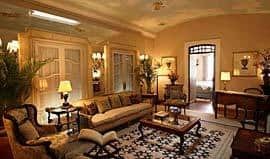 Guestrooms, most with windows that open into the central patios, are large with ornate rugs, antique-style, dark-stained carved furniture, and original and reproduction colonial art – in all, an ideal choice for those who prefer a colonial atmosphere over modern flamboyance. 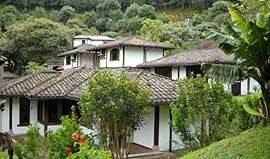 Hacienda San Agustin de Callo is nestled in the foothills of the Cotopaxi volcano, an hour south of Quito. This historic hacienda dates from around 1440 and was built inside the remains of an old Augustinian monastery which itself was constructed on top of an ancient Inca temple and palace. 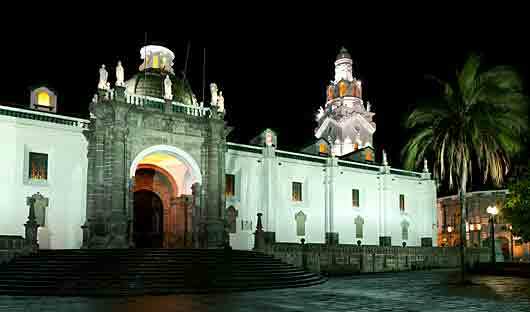 Now owned by the granddaughter of a former President, it comprises three main buildings that are an eclectic blend of Imperial Inca, Spanish Colonial and Republican architectural styles. 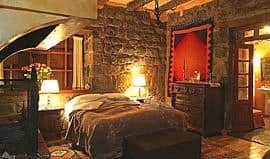 All rooms have unique attributes, many with exposed Inca stone walls and, in the large bedrooms, lavish hand-painted murals and open fireplaces. With its photographs, paintings and memorabilia, the hacienda retains the atmosphere of an extremely comfortable private house. On the fringes of the Amazon rainforest, 2.5 hours south of Quito, the small and beautiful Luna Runtun Adventure Spa sits high on a hill above the artists’ town of Banos on 310 acres of unspoiled Andean forest. The resort’s spacious rooms and suites are beautifully furnished, many have a private terrace, jacuzzi, or fireplace, and all have views of either the mountains, the surrounding lush gardens or the charming town of Baños. An indoor restaurant extends onto an open-air terrace, and there are lovely social areas throughout, including a bar with a cosy fireplace, library, gallery, and handicraft shop. And as you relax in the Luna Runtun Adventure Spa’s 4 volcanically-heated outdoor pools, you can enjoy spectacular views of the town in the valley far below. As a gateway to the Amazon rainforest Luna Runturn offers many activities including hiking, rafting, canyoning, biking, horse riding and bird watching programs. 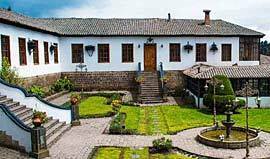 Hosteria La Andaluza is located 10 minutes drive from the town of Riobamba, on the site of the old 16th century Chuquipoggio Hacienda. This historic hotel, a section of it occupying part of the original ranch house, offers spectacular views of the Tungurahua and Altar volcanos as well as the surrounding Andean landscape. Decorated with a mixture of antiques and Ecuadorian handicrafts, the 56 spacious and comfortable rooms offer many extras. The hosteria also has a sauna and a fitness centre as well as a bar, restaurant and spacious public areas. 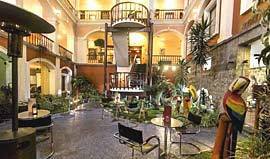 Mansion Alcazar Boutique Hotel is a late 19th century mansion in the historic centre of the city. This property was known as ‘Casa Cordero’, after the original owners, until 1999 when it was converted into a small and elegant hotel. The interior décor evokes the aristocratic style of the age, with careful selection of fine furniture, carpets, paintings, and antiques in every corner. Spacious rooms overlook the large interior courtyard where plush seating surrounds a flower-filled fountain; the larger, more contemporary suites look out across a beautiful rear garden with resident hummingbirds. Guests may enjoy an enclosed garden dining room, reminiscent of an English tearoom, an outdoor dining patio and a comfortable wood-panelled bar. 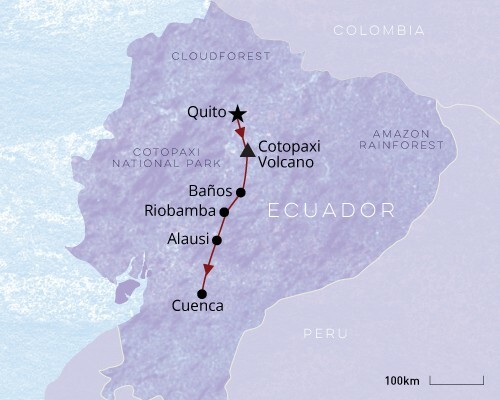 This itinerary works very well in conjunction with a Galapagos Island Cruise or a visit to the Amazon Rainforest. 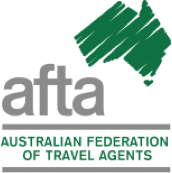 Contact our expert travel consultants to arrange an itinerary perfect for you. Call 1300 784 794 or email contact@satc.com.au.